We have seen several AI-based colorizing tools so far, and colourise.sg is the latest addition to this bunch. While some other services like Algorithmia still need to improve, colourise.sg is capable of doing a fantastic job in only a matter of seconds. At yesterday’s 2018 I/O keynote, Google has introduced some interesting improvements to Google Photos. One of the features I found the most interesting is that Google Photos will soon be able to colorize your old black and white photos with a single click. Other than that, there are a few other new features that let you improve or share photos in a second. We’ve recently learned that you can edit videos in Lightroom, at least as the “first aid.” Nathaniel Dodson of Tutvid demonstrates another unconventional use of Lightroom – colorizing black and white images. 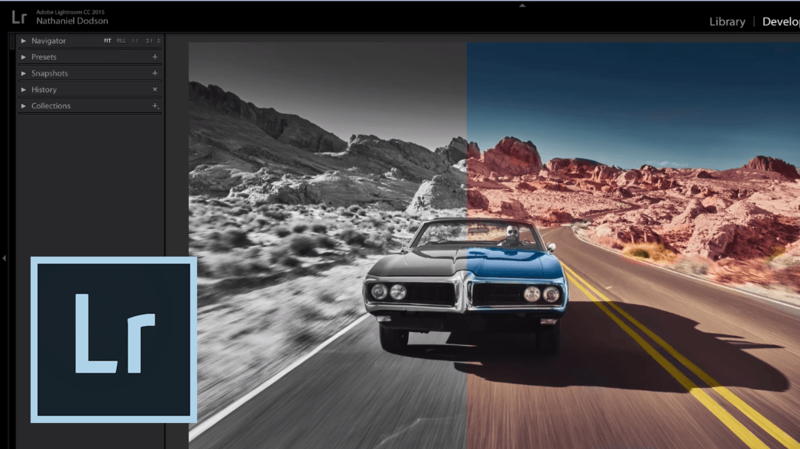 He turns a black and white photo into color using only Adjustment Brush and the adjustments within this tool. So if Lightroom is your editing tool of choice – check out this tutorial. We’ve shown you some amazing colorization and restoration work before. But if you are a baseball fan, you will definitely love the series we’re about to show you today. Chris Whitehouse is a sports lover and a photo restoration and colorization artist. He brings his two passions together, and as a result, he breathes a new life into century-old photos of Major League baseball players and games. Using Photoshop and lots of patience, skill, and research, he teleports us to the baseball fields from 100 years ago and creates a new look on the history of sports. Photo colorization takes a lot of time and skill, and there are artists who do an impressive work doing it. One of these artists is Jordan Lloyd. In this video by Vox, he talks about the techniques and methods artists use not only to add color – but to learn which colors to add. 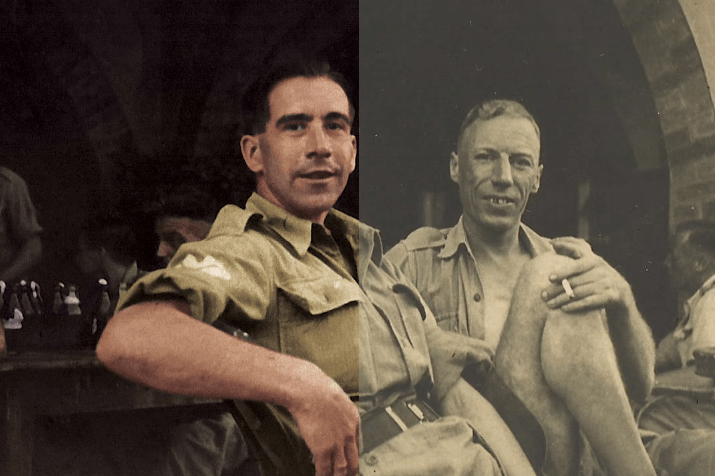 We have recently featured a great tutorial for photo colorization. A lot of people wondered how they are supposed to know which colors to add to a black and white photo to make it accurate. So if you were wondering the same thing, this video explains it. In case you want to start colorizing black and white photos (or if you’re just curious), this will definitely be useful to you. We at DIYP have featured many fantastic colorizations of black and white images. If you’ve always wanted to try it yourself, this tutorial by Chris from Spoon Graphics is the video you definitely need to watch. It’s intended for beginners, and it’s simple and easy to follow even if you’ve never colorized an image before. Although this process takes a lot of time and skill, Chris makes it simple and gives you some basic guidelines for adding colors to black and white photos, which you will easily upgrade as you follow the tutorial. This video is a great way to step into the world of photo colorization, and it will make you try the technique out instantly. Using her photography and photo manipulation skills, photographer Karen Alsop created her version of a time travel. When her mother found a photo of Karen’s Great Great Great Grandmother and Great Great Grandmother, it made Karen wonder: what it would be like to meet her ancestors, sit down and talk to them? Even more, how incredible it would be for her kids to meet them? And so, the idea was born. She had a photo shoot with her two children and photoshopped them into the photo her mom had found, which dates back to the early 1900’s. The final result is incredible, and when she shared it on Facebook, most of her family and friends thought that the kids are the relatives who only resemble her children. Karen has kindly shared the details about the entire process with us. From the photo shoot to compositing and colorizing the final image, even some BTS shots. It was a long and demanding task, but it was well worth the result.